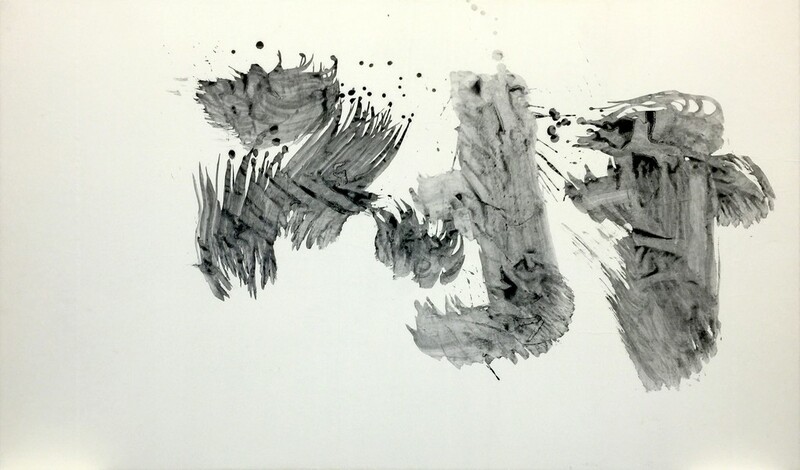 Inoue Yuichi, a pioneer of Japanese abstract calligraphy, is often mentioned with the likes of Franz Kline, Robert Motherwell, Pierre Alechinsky and Henri Michaux. 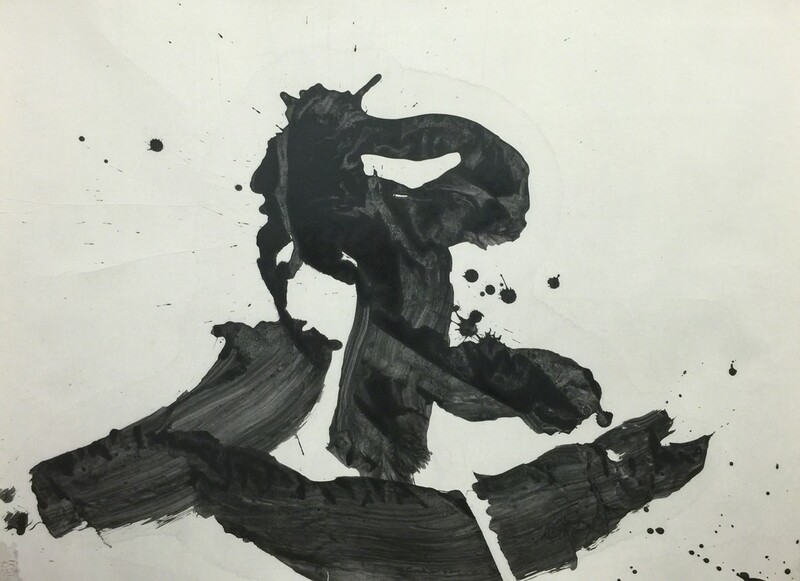 Yuichi communicates his artistic message through logographic kanji characters which he writes using his entire body to channel energy into his work. They display a sense of honesty and simplicity. 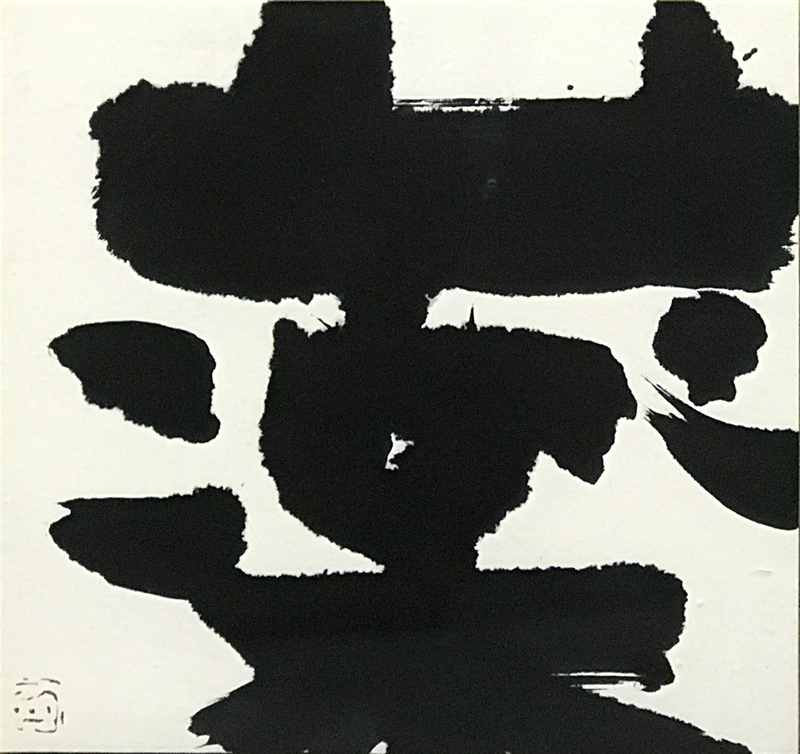 Although the overseas exhibitions Yuichi participated in during his lifetime immensely boosted his popularity, he preferred to devote his energies to the creative process and avoided taking part in exhibitions on a regular basis. He was extremely self-critical of his works to the point of destroying everything he considered to be ‘inferior’. 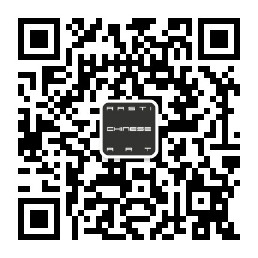 A three-volume catalogue documents almost his entire repertoire.